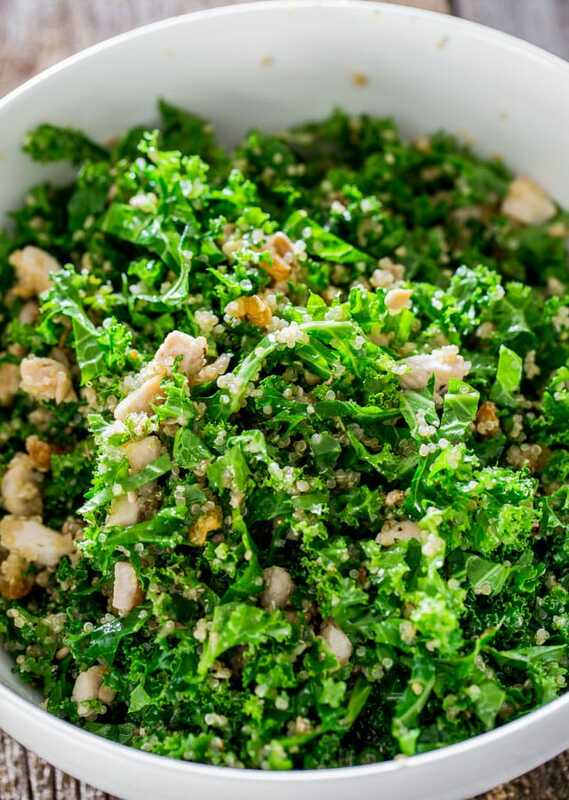 Kale and Quinoa Salad with Lemon Vinaigrette – words cannot describe how good this salad is. 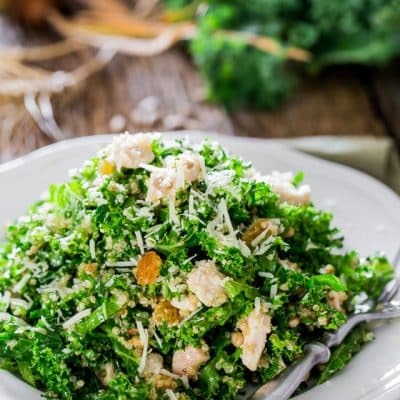 This bright and fresh kale salad is a great way to start loving kale. So I’ll admit this, while I love my salads, I’m not one that goes out of her way to buy kale and make these “green goddess” salads. Nope that’s just not me. No matter how much people rave about how good kale is and how good it is for you, I kind of disagree because I’d rather eat bacon, let’s just put it that way. Now bacon I can rave about for days. But sometimes in your life, and I mean just sometimes, like once in your lifetime kind of thing, you come across a kale salad that makes you smile and think to yourself that yeah I can eat kale salad and enjoy it. Well I had one of these riveting experiences at Moxie’s when I ordered this kale and quinoa salad a few weeks ago. While I have no idea what possessed me to order such an unheard of type of lunch for me, I did. Perhaps it had to do with the fact that I was going to be stranded in a car for the next 24 hours and didn’t want a heavy meal, or perhaps the stars were aligned just right, and my inner goddess said to me that we can do this, and so I did. I can’t believe I just wrote my inner goddess, but it’s done. When the salad came, it looked good and I thought to myself that yeah I can do this and I felt proud of myself for ordering such a healthy meal. But then I took a bite and fell in love. I might have even groaned out loud from pleasure and muttered stuff under my breath because hubs took his fork and started eating my salad. Now you have to realize here, I’m a food blogger, I’ve tasted and tried many salads in my day, so it’s hard to surprise me with something when it comes to food. I loved the simplicity of this salad, I loved the little pieces of chicken and the sweet from the currants (I used raisins in mine), and the saltiness from the cheese. And I loved the kale and the quinoa. There I said it. I loved the taste of the kale. I think it was the vinaigrette, let’s not fool ourselves. I vowed to myself that day that I was going to try and recreate that salad some day soon as its taste was carved in my brain. Well that day finally came, so here we are, and here I am sharing with you a kale and quinoa salad recipe that I think is worth eating and enjoying. Don’t worry, I haven’t forgotten about bacon, and I was so tempted to add bacon to this salad, but then I had to stop myself and try and not ruin a good thing. There’s time for bacon. But for now, let’s eat kale. Kale and Quinoa Salad with Lemon Vinaigrette - words cannot describe how good this salad is. 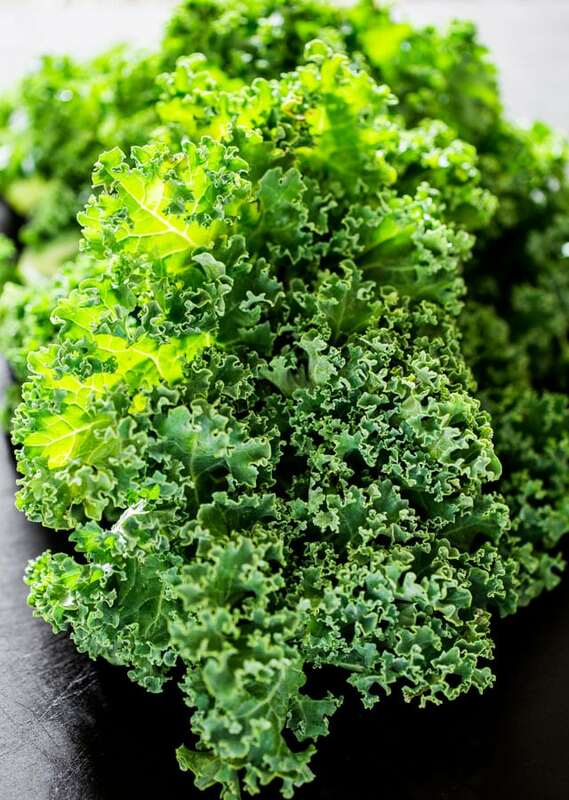 This bright and fresh kale salad is a great way to start loving kale. Start by combining 1 cup of water with the dry quinoa in a saucepan and bring it to a boil over medium high heat. Cover the saucepan and reduce the heat to low, let it simmer for about 15 minutes until the quinoa is tender. If there's any water left, make sure you drain the quinoa first. While the quinoa is cooking, you can prepare the chicken. Add the olive oil to a large skillet and heat over medium high heat. Add the chicken pieces, season with the salt, pepper, and garlic powder. Cook for about 8 minutes, until chicken is no longer pink but it's just starting to brown a bit. Remove chicken from skillet and let cool. 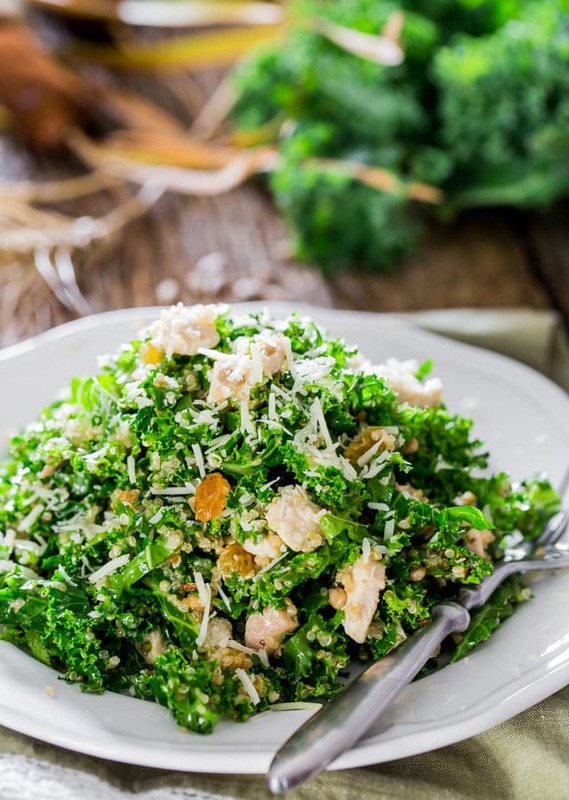 In a large bowl toss together the kale, cooked chicken, quinoa, sunflower seeds and raisins. Whisk together all the ingredients for the lemon vinaigrette in a small bowl. Adjust salt and pepper as necessary. Pour the vinaigrette over the kale salad and toss really well. Sprinkle with Parmesan cheese before serving. You were right! I made this for lunch today and it was very yummy! Only thing I did differently is I doubled the dressing. I had a salad similar to this when I was traveling once but could not find anything close to it again, this hit it on the nail head! Thanks! I’m sure you love comments like “I followed this recipe, except I totally changed it…” haha, but I followed this recipe, except… well… I totally changed it. 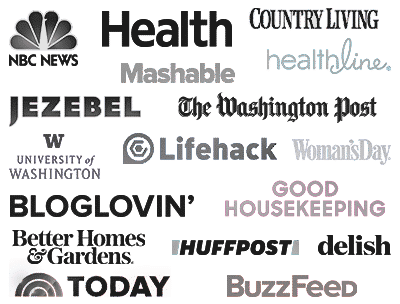 I’m new to your blog; I stumbled across it when I searched for “quinoa kale lemon salad” to try and recreate a salad I had from a catered lunch meeting at work. I used your vinaigrette recipe exactly, but changed the proportions of kale to quinoa (about 1.5 cup raw quinoa, cooked in 3 c chicken stock, and 3 cups torn up kale), used feta instead of parmesan and pine nuts instead of sunflower seeds, and used some chicken I had previously seasoned/grilled and then frozen. BUT, the vinaigrette was perfect for recreating what I’ve been remembering about this salad for months. Thanks! Hi! Quick question about the sodium, it seems very high. Do you know where that comes from? That way I can omit it, if possible. Thanks! You can omit the salt from the dressing since you’ll already be rubbing the kale leaves with salt and oil. I wouldn’t skip that step, it makes the kale nice and soft and palatable. Tastes just like Moxies if you use currents, pumpkin seeds and grano padano!!! So good! LOL actions speak louder than words, right? Love this salad. One thing I think you should share with readers is that when using Quinoa you should always rinse it well to remove the natural coating which if left on leaves the Quinoa having a bitter taste. I realize the boxed Quinoa says it is pre rinsed but still a good idea to give it a rinse. I did not know that, so thanks for the information. This recipe is so yummy. The dressing makes the salad so full of flavor. We will making this again and again. Right?! I just googled kale quinoa salad recipes because I just ate one at Moxie’s for the first time and told my husband how amazing it was! And then I found this! Thanks for the recipe, prepping now! This recipe is amazing! I used garbonzo and cannellini beans instead of chicken and it was good. Thank you for the recipe! Really amazing recipe. The blend of flavours is amazing. Every ingredient connected so well to make this salad outstanding… well done! I did a few mods. I added red onion, finely chopped and salted. I added chopped red pepper. I added some Dijon to the vinaigrette. I also poached the chicken breast in a steam oven so it was super healthy! I love this salad!! I know I have made it at least 10 or 11 times in the past 2 months! LOL. It is highly addictive! One question…the nutritional information you posted…I know it’s just an estimate, but is that for the entire salad or for just one serving? It’s per serving. Glad you like it! Great recipe and easy to substitute some ingredients if necessary. I didn’t have currents so used dried cranberries. No seeds so I used sliced almonds. I had rotisserie chicken breast that that I bought at Costco. I used baby kale and “massaged it” (saw that on The Chew) to make it tender. The dressing was yummy. Will make this again and again!! Ha ha! I’m thrilled right now! Hope you like it, it’s one of my favorite salads now. Thanks for giving us this great recipe. I added sunflower seeds and pumpkins seeds. I used currants, golden raisins and dried cranberries. I also doubled the dressing recipe to make it more moist. i also added more honey than the recipe called for. 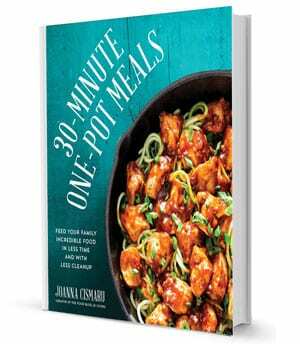 Thanks Jo for this recipe! I love the Moxie’s salad as well, just had it the other day and decided to search online to see if I could find something similar…and I found yours! Plan to give it a try next week, can’t wait! The only thing I will do different will be grilling the chicken on the bbq. Oh, and when they brought me my salad the other day they forgot to add the chicken, it took me a couple of bites to realize that something was missing…so they promptly brought me a side plate with my chicken…however the salad on its own was equally delicious! Yeah grilling the chicken would be great as well. Let me know if you try it! I made this last week and it was awesome as I expected it would be. I grilled the chicken on the BBQ and I used pumpkin seeds and currents as they do at Moxie’s otherwise I followed your recipe and loved it! Very close to the taste of the Moxie’s version…great job! I made this for dinner two nights ago and it was wonderful. Even my ten-year-old, who is usually suspicious when I try out new recipes, gobbled it up! I didn’t have any chicken thawed out, so I made it without, but it still tasted great. I will definitely be making this again; it’s a great way for me to use the kale I have growing in my garden. Thanks! You are just brilliant. I truly admire you. Being able to eat something that is fabulous and then be able to create a recipe so wonderful is amazing to me. I suppose that is what separates you from someone like me. 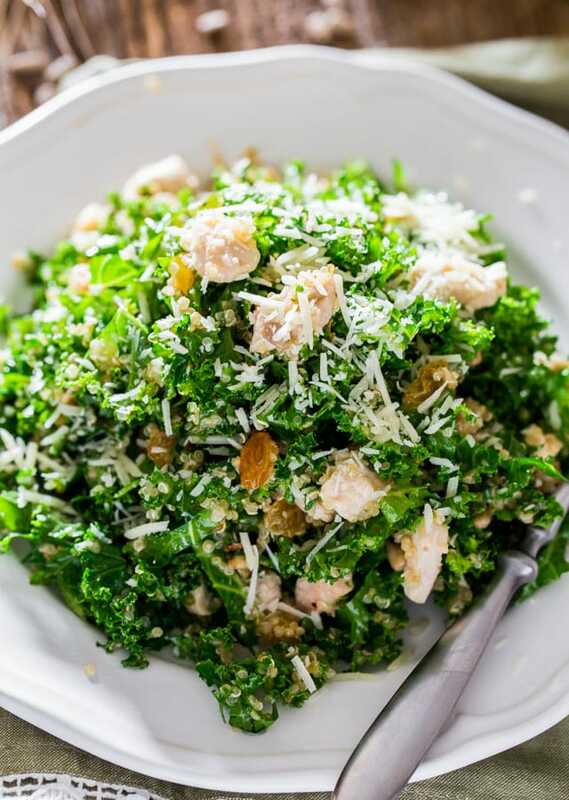 You have a gift and the skills to create a lovely “KALE” salad. I too wondered why Kale became so desirable to so many. I live in San Francisco, a totally Foodie’s paradise. I don’t always feel like planking out $20.00 for a salad and now I don’t have too. Thank you Jo. Did I mention that you are very humourous too. I love reading your food blog.